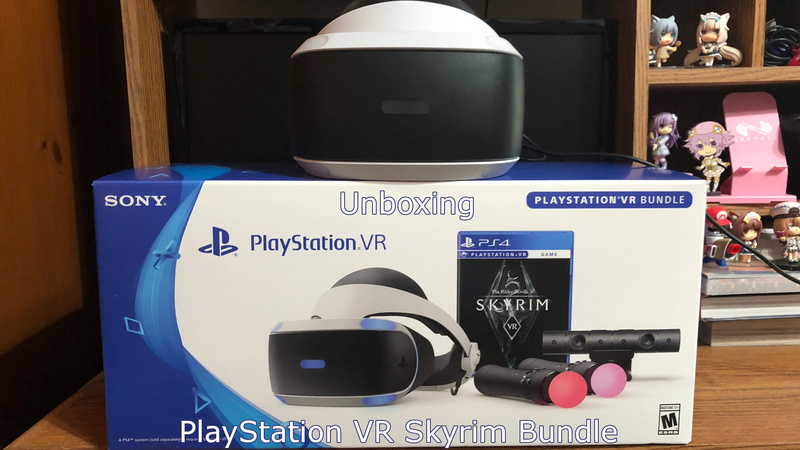 What comes in Sony’s premier VR bundle? Time to find out! The PlayStation VR is a piece of hardware that many of us are curious about, but not one we’re all necessarily ready to invest in. Especially if you’re a niche gamer like myself. While Touhou Kabuto V Burst Battle, Senran Kagura: Peach Beach Splash, and the upcoming Megadimension Neptunia VIIR have VR elements. We’re still waiting for the must-have Japanese title that will make us throw money at Sony for one of these. Or are we? Thanks to a few factors I finally decided now was a good time to grab a PlayStation VR and join the VR Revolution. The first factor being that I finally had a chance to try the unit at IFI’s Press Event. Something that in two E3’s I was unable to do. The second being that there’s actually a good sale on various bundles going on right now. So, now that I have actually bought one, let’s open this thing up and see what’s inside the box. In this first video, I unpack the PlayStation VR and give my thoughts not only on the contents but on my experience with the PlayStation VR’s marketing efforts. In this second video, I actually run through the very simple set up and play around with calibrating the headset. At the time of writing this up, I’ve actually had some time with Skyrim VR to get a feel for what this thing can do. I’ll post that video up at a later date, but I will say that it does showcase the technology of the PlayStation VR rather well. The controls are just a little clunky to me, but in the game’s defense this was my first time playing a VR title and using the Move controllers. An hour isn’t truly enough time to render a verdict on an entirely new control scheme. As for the PlayStation Camera issue, yes it’s still being a bit of a pain. Unless that cable is dead center behind the camera with a little slack, it tends to pull the camera to one side or the other. It’s certainly good that the cable is thick and durable, but it shouldn’t interfere with normal operations I feel. Still, as a whole, I’m quite impressed with what I’ve been able to try so far. Time will tell though just how much staying power the PlayStation VR has.